Geography: South East, Kent. The western part of Thanet council area and the north-eastern part of the Canterbury council area. Main population centres: Margate, Herne Bay, Westgate-on-Sea, Minster. Profile: The seat consists of the north-eastern coast of Kent, made up of the seaside towns of Margate, Westgate-on-Sea, Birchington and Herne Bay and their rural hinterlands. The towns all suffer the common problems of traditional seaside towns that have seen their economies decline since the growth of international tourism. Margate in particular has some of the most deprived areas in the whole of the South East region and has become the focus of redevelopment efforts including the building of the Turner Contemporary galley and the redeveloping of the traditional Dreamland amusement park. The seat also includes Manston airport. Politics: Despite the comparative poverty in Thanet, this is a solid, safe Conservative seat. Thanet North has been held by Conservative MP Roger Gate since its creation in 1983. In 2015 UKIP took second place from Labour and won the local council, the first council under majority UKIP control. ROGER GALE (Conservative) Born 1943, Poole. Educated at Hardye`s School, Dorchester and Guildhall School of Music and Drama. Former radio and television producer. Contested Birmingam Northfield 1982 by-election. First elected as MP for Thanet North in 1983. PPS to Archie Hamilton 1992-1993, PPS to Jeremy Hanley 1993-1994. Producer of the Today Programme 1973-1976, Director of BBC childrens television 1976-1979. President of Conservative Animal Welfare. Knighted for public and political service in 2012. ROGER GALE (Conservative) See above. FRANCES REHAL (Labour) Born Ireland. Educated at St Raphaels Convent of Mercy, Loughrea and Kings College Hospital. Childrens Centre co-ordinator and former nurse. Awarded an MBE for services to children and families in 2009. GEORGE CUNNINGHAM (Liberal Democrat) Born 1956. Educated at Oxford University. Diplomat and former army officer. PIERS WAUCHOPE (UKIP) Barrister. Former Camden councillor for the Conservatives. Tunbridge Wells councillor since 2012. Contested Hampstead and Highgate 2005 for the Conservatives, Kent Police Commissioner election 2012 for UKIP. ED TARGETT (Green) Educated at SOAS. Journalist. CEMANTHE MCKENZIE (United Thanet) Managing director. I am puzzled by your post, H.Hemmelig. Two points. Firstly, UKIP are now dominant in this seat at local level as a result of the County Council election results. I don’t think you can rule out a party with this level of support being able to win a Westminster seat, albeit I realise that (as split representations in Scottish and Welsh seats show) this transfer of support can actually be difficult to achieve. Secondly, the size of the Conservative majority here is way out of line with its demographics. Have you ever been to Margate? The reason is long and assiduous campaigning by Sir Roger Gale. Once Sir Roger is no longer here, the political character of this seat may change markedly (particularly, incidentally if there is a by-election – which I hope there won’t be). Yes I have been to Margate, which incidentally only constitutes a minority of this seat’s electorate. There are plenty of safe Tory seats centred around ugly declining coastal resorts in the south of England. Your assertion that the only reason that this is a safe Tory seat is down to a nondescript unknown Tory MP having a personal vote of 13000 is plain daft. If you think the UKIP vote at the next general election will be anything like the 22% they got in the county council elections on a miniscule turnout you are even dafter. I had to change computer, which Is why this is a second post just after another one. I am not sure what you mean by my having a hobby horse, H. Hemmelig. I hope my comments are psephological rather than opiniated. I would, however, observe that in many East Kent seats over the years, including this one, there has been a lack of challenge to the Conservative Party. Whatever ones ideological views many people (including Conservative leaning ones) look at the voting figures to look for electoral challenges. The run down state of Margate, and come to that Herne Bay, can be seen as reflecting a lack of pressure on the powers that be (i.e. the Conservatives) to invest in Kent comparably to other parts of the UK, particularly when East Kent is wrongly seen as sharing in London’s overheated economy. The comments I have made in the last paragraph are even more so now that Labour have lost the seats they held in Kent so badly that they are not really being treated as target seats for 2015. And the LibDem challenge in other seats is falling away as a result of their participation in the Coalition. Canterbury, for instance, is in no way perceived locally as the LiibDem target that the figures suggest and the LibDems wish the seat to be. In the context I have indicated in the last two paragraphs, many of us, not just UKIP supporters, are interested in discussing a UKIP challenge. It is something happening in politics here, and hopefully it will make the Government pay us attention. 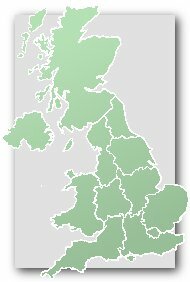 Having lived in Scotland, the North and Wales, despite having Kentish roots, I am very conscious that over the twentieth century Kent lost out when it came to “pork barrel politics.” This was because opportunities that could have been identified and opened up by inspecting and interpreting voting figures were not adequately followed up. Surely we should be psephologists not as anoraks, like train spotters, but to engage in statistical analysis and interpretation that will be of use to politicians and voters. H.Hemmelig. Elsewhere on the South Coast (or mouth of the Thames) “ugly declining resorts” like Ramsgate (where I am at this moment), Hastings and Brighton are Labour/Conservative marginals. Or indeed Conservative/LibDem marginals like Eastbourne or, once upon a time, Folkestone. This seat is out of line. Sir Roger Gale was not unknown when he was elected. He was well-known as a television personality. He has not climber the Westminster ladder far, but he is assiduous over small local issues and this, together with his aging base of supporters who remember his past fame, has built up his majority. In short, Gale is an effective grassroots operator. Of course I don’t think UKIP will get 22% of the vote at the next election. But I think it would be unwise to write them off in an area where they are making a clean sweep of local councillors, even if on a low turnout. This is particularly so given that UKIP are beginning to learn the targeting game, on which they have been slow on the uptake. If nothing else, a cadre of Councillors gives UKIP an organizational base, status and opportunities for action and publicity. This seat is, as H.Hemmelig indicates, run down. Labour and the LibDems has lost here the opportunity to pick up the coastal underbelly vote, if that is the way of putting it, they have found in other South-Eastern seaside seats. This is a disaffected vote avilable tom UKIP if they get they”re act together and/or the Conservatives miss out on managing their sucession if and when Gale retires. Interested that you have Kentish roots Frederic – all the other Stansfields I’ve heard of had roots in the Pennines. For example the former Tory candidate for Huddersfield W, John Stansfield, & the singers Gracie Fields (real name Stansfield) & Lisa Stansfield, who some have incorrectly said are related to each other & both hail(ed) from the Rochdale & Oldham areas. You fail to mention Bognor, Littlehampton, Worthing, Bexhill, Havant, Gosport, Clacton, Southend and Shoreham, all of which are faded coastal seats in southern England yet safely Conservative. I’m not sure Thanet North is so out of line compared with these, though if it were further north it would almost certainly be a Labour seat. I stick to my assertion that UKIP won’t poll any higher than 20% here at the general election, if Farage isn’t the candidate it will be considerably lower than that. The Tories will remain above 40% no matter what so there is no threat to them holding the seat. An interesting list of seats, H.Hemmelwig. I have been to kost places in England one way or another, but you have actually managed to produce a list of seats for places of which I know nothing! Southend and Clacton are in Eastern England, and as you rightly say seasdie seats behave differently from a psephological point of view depending on which region thye are in. Although North Thanet does not perhaps behave so differently from Fylde, on which I have commented. Southend is of course interesting in relation to Thanet North because as the seagull flies the two Southend seats are more or less neighbours to this one. However, contact between North-East Kent and Southend is more or less nonexistent because the land travel time is about two hours (by road via the Dartford Crossing). The political culture in Essex is very different from Kent (for instance in relation to Basilon-man style right-wing Toryism). Southend is different from Thanet because it is a larger town, with more employment actually in the town (e.g. in finance). And of course Southen was built up with pro-Tory Guiness family roots, represented in parliament for many years by members of the Channon family, not to speak of Teddy Taylor. In many ways I would say that Southen is more nearly comparable with Brighton than Thanet, which does then raise issues as to why Southend (and Bournemouth) is more Conservative than other large seaside towns (for psephologists large here equals more than one MP). bexhill might be more comparable to this seat, but is linked with Hastings. ONe would have to look at the electoral maps, but I suspect that Hastings mops up the grottiest parts of East Sussexm whilst Bexhill (and Rother Valley) will have prosperous hinterlaand as well as some poor areas (I need to go and look at the relevant thread). Gosport is largely Portsmouth suburbia, with defence industry workers. Worthing is in effect a suburb of Brighton, albeit with reasonably prosperous commuters too. I don’t know much about the West Sussex seats of Bognor and Littlehampton; but I would observe that they are further from London, without the day-tripping, and perhaps not as much dumping of social rejects, as Thanet. A lot in these seats depends on how tightly the boundaries are drawn in realtion to the name town as opposed to prosperous surrounding areas. H. Hemmelig has mentioned other seaside towns which are “safe Conservative,” but for a balanced view one must not overlook seaside seats with radically different patterns of election result, e.g. Hastings (Tory/Labour marginal), Eastbourne (Conservative/LibDEm marginal). Indeed a major item on the psephological agenda is as to why seaside seats around England do seem to have developed political cultures which vary more than one would expect on the basis of looking at demographic characteristics alone. Working class people in these parts of the world – and its increadsingly true in other parts of England too – vote Conservative in increasing numbers and whilst these types m,ight be omly too happy to lend their votes to UKIP in local and Euro elections, I’d be surprised if they didn’t revert to the Tories at the next general ekections. I think the point is that Labour have always ‘underperformed’ in these sort of areas, and seaside resorts used to be almost total no go areas. Less so now, as some are Labour. others marginal. But most of the Southern ones still vote Labour far less than demographics might indicate. The same bastions of working class Toryism that UKIP are probably going to do quite well with in 2015 if they’re still polling high enough before the elections. That section of the public (C1/C2 voters) is no longer a simple Tory/Labour battleground, where UKIP is reaching out to them. I don’t think it’s really correct to characterise N Thanet as entirely working-class, though I accept it is far more so than Fylde. Margate certainly is predominantly working-class, and there are working-class areas in Herne Bay & one or 2 other pockets. But the majority of the seat is middle-class in fact. The Tories wouldn’t have won as regularly as they have were that not the case. Tim has a habit of exaggerating the working-class nature of places, and this is such an instance. North Thanet is far from working class if you think in terms of industry. It has nice villages inland, not least Herne. A stereotypical North Thanet voter might be somebody who has retired from a lower-middle class job in London. And perhaps this is Labour’s problem. As the traditional working class declines, largely because of automation and computerisation, the mass vote is largely lower-middle class. Labour has failed to adjust adequately to this, particularly in relation to the private sector as opposed to the public sector middle class of people like teachers and health workers who have dominated Labour in constituencies outside the cities for a generation or more now. The difference between North Thanet and the other areas of Kent that Tim Jones mentions, such as Dartford and Sheppey, is that these other areas did return Labour MPs between 1997 and 2010, although Labour did so disastorusly in them in 2010 that they are no longer on the list of seats Labour needs to win, although I don’t think Labour can afford to neglect them. Canterbury, and several other seats in Kent, have a long history of returning a Conservative MP on a minority vote because of the Labour/LibDem split. Canterbury is now technically a LibDem target: the Conservative majority over the LIbDems is actually smaller than the Conservative majority over Labour in seats such as South Thanet that the Conservatives gained in 2010. But few people locally are thinking of the LibDems winning Canterbury, not least because Canterbury now has a huge student vote. Fylde has not a few retirees from Manchester etc. rather like ones in North Thanet from London. The major difference between Thanet and Fyle is probabaly the considerable number of defence workers in Fylde, specifically at BAe’s Warton factory. Councillor David Hirst, who represents Greenhill And Eddington ward, which is in Thanet North, on Canterbury City Council has, according to the Gazette, joined UKIP. He had previously had the Tory Whip withdrawn over a local traffice issue. I believe he was also a County Councillor until he was defeated, by UKIP!, in May. This maans that. together with their by-election victory in Sesaleter (which in Canterbury consitutency), UKIp will have two councillors on Canterbury City Council, which will significantly imporve their ability to make points in debate. I would be suprised if labour go up in votes if the UKIP share is up by 20. A Brown and the results, where is the other vote coming from? If it is the BNP then I would find it unlikely that they would stand here, because if they are going backwards nationally it is unlikely they will stand in new seats. The precise result is hard to call because of the probable UKIP factor. But don’t underestimate Gale, an experienced politician who is well-suited for this kind of seat. If anything, I think I’ve probably got UKIP too high there. At any rate, I don’t see them getting within striking distance of Gale. I am not very interested in percentage predictions at present in that it is too far before the predicted date of the next General Election. But I really cannot see the LibDems’ deposit being at serious risk here at the next General Election here, even though their percentage vote is likely to decrease. It would of course be a different matter if there were a by-election. First time I’ve looked at this page for ages, and I sit with my mouth hanging open in sheer horror at the ignorance displayed as if it were fact. My parents lived (and died) in Margate for the best part of 50 years, and I’ve lived in Worthing/Littlehampton for 27 year, so I actually know both areas intimately. To compare Thanet North with Worthing (or Shoreham, Havant, or Bognor) is akin to comparing Lviv to Edinburgh (well, they both have separatist tendencies, so they must be the same, innit). The Sussex resorts (with the exception of Hastings, which HH omits from his list) bear no comparison to Margate. All (except Littlehampton) have never been reliant on tourism as Margate was, and all have a thriving light industrial hinterland. Even Littlehampton, run down as it is, is in scale comapable only to Birchington, not to Margate. No more glib comparisons please. The fact that two towns are sited on the coast doesn’t make them economically, demographically, or psephologically comparable. Miserable is not wrong… there have been a lot of sweeping statements about UKIP and beachside towns as if a view of the water immediately turns one into a UKIPper.. Everyone one of these places has their own dynamic..Even in the South-facing resorts, places like Weymouth and Bognor are poles apart in prosperity and vibe.. There is a divide between Kent and Sussex that goes back to the Early Middle Ages, arguably the sixth and seventh centuries. St. Augustine converted Kent to Christianity in the very late fifth century, witness the cathedrals at Canterbury and Rochester. By contrast, Sussex was one of the last places in England to be converted from paganism. There are also major and longstanding geographical differences between Kent and Sussex, notably Kent’s settlement pattern of a considerable number of smaller towns, which is in some ways more like Wales or Cornwall than the shires of middle England. These diffferences where reinforced by distinctive Kentish land laws (Gavelkind), which I believe were not finally abolished until 1928 – and then not without specific Kentish consent such as a Referendum. Another point about Sussex is that its coastline, consisting largely of cliffs fform the South Downs, means that there is a distinct lack of good harbours in Sussex, wheras Dover, Ramsgate and Margate do all have harbours. Kent’s diffferent ways are poorly understood at Westminster, and indeed many – most- People of Kent/Kentish People no longer remember them. Miserable Old Git is quite right to say that Hastings is a special case, being in Sussex but also a Cinque Port. Hastings has distinctive politics as a Labour/Tory marginal, as a result of which it is not a good UKIP prospect as far as I know. Coming to more immediate matters, local politics here have been quiet recently. I don’t know of any big events that will be swinging votes. On the whole, this is good news for the Tories. And finally, I apologise for the number of typos in my last couple of posts on this thread. If there are spelling miistakes in this post too, plese forgive me! According to this week’s “Thanet Gazette”, Frances Rehal has been selected to stand for this seat for Labour. Apparently Ms. Rehal has been a member of the Labour Party for fifteen years and comes from Faversham. She has been a nurse and has interests in children’s issues. She is currently studying for a Ph.D. at Canterbury Christ Church University. it seems that Ms. Rehal very much represents the core interests of the contemporary Labour Party. I cannot see what appeal she has to disillusioned voters such as the ones flocking to UKIP in considerable numbers here. George Cunningham chosen as LibDem candidate for North Thanet.. I thought for a minute you meant George Cunningham the Labour/SDP member for Islington South, who must be in his eighties now. Just an odd coincidence. Yes, good odds, with the added bonus that were Farage to stand here they would probably shorten, meaning it might be possible to ensure a guaranteed profit. In contrast UKIP are only 9-4 for South Thanet. If he goes for East Sussex the seat will be Bexhill and Battle probably. I expect that he will go for Folkestone and Hythe though. In fact if he said Kent, East Sussex, or Hampshire it looks like he wants to contest a seat he has contested before, somewhere that he knows well. The obvious choice for Nigel Farage is Thanet South, which he fought in 2005. Assuming he is successful in the selection process! The Tories will be very lucky to keep UKIP below 15% here; though Gale will hold it will be closer than that. He is clearly worried about his seat given how much he’s been on TV about this Manston closure. Gale is essentially UKIP though, which is what is going to work in his favour here. He may even defect after the next election; unless of course he plans to stand again in 2020..
Farage in South Thanet should be the priority for UKIP. The loss of Tory incumbency and a really young Labour candidate are both useful factors. As he’s a Kent native there can be no accusations about such a selection being a parachute. There is also the factor that Nigel Farage has stood in Thanet South before, so his candidacy there would not be of a candidate flitting opportunistically around the country. Interesting that North Thanet UKIP have chosen Piers Wauchope as their candidate in this seat. According to the local paper, Piers Wauchope is a barrister and a local councillor in Tunbridge Wells. He sought the nomination in Thanet South. Piers Wauchope is clearly a serious candidate and depending on UKIP progress nationally it is quite possible that he will win. Just a personal foible. I do tend to be slightly queasy in general about barristers at the criminal bar standing for parliament. whether they are from the right like Mr. Wuachop or from the left like Tony Blair. Of course, much depends on the individual. I think the selection of Piers Wauchope is an interesting development in UKIP’s evolution. Wauchope (pronounced “war hope” is or rather was a classic type of right-wing tory who 40 years ago would probably have ended up in the house of commons…. I don’t think he’ll win the seat for UKIP, but it adds credence to my view that UKIP is essentially a daughter church of the tory party, and does them much more harm than just taking tory votes…it deprives the tories’ of much of their activist base and energy, as ‘kipper members tend to be very into politics; they are not joining UKIP, as many used to join the Conservative Party, for the social life..
Survation polling for this constituency done on behalf of UKIP shows that it is neck and neck between the tories and UKIP. Roger Gale is standing in 2015 and he should get home reasonably comfortably because he is a populist right-wing incumbent. As things stand, I agree that the probability is that Roger Gale will get back, but another Tory might well not. I would not however describe Roger Gale’s political situation as comfortable. If Farage gets a fair wind in South Thanet, I think North Thanet will be a tricky one for Gale…He will be 72 next year, not the best time of life to be fighting a highly marginal and uncertain seat…. Clacton, Thanet South and North, Rochester & Strood, Boston & Skegness and one of Great Grimsby, Great Yarmouth or Thurrock.